The Democrat's open border, "sanctuary cities," "sanctuary states," and general refusal to enforce existing Federal immigration law, has taken in a disproportionately terrible toll on the African-American community. In 1951, poet and author Langston Hughes pondered the question of "A Dream Deferred." Nearly seven decades later, we watch in horror as The Democrat Party's "Progressive" policies such as open borders, chain migration, & "sanctuary" for illegal aliens has resulted in "A Dream Denied" for many Americans. The problem with bleeding heart Liberalism is that others do all of the bleeding. The Left’s “Progressive,” open borders, agenda has resulted in large numbers of illegal aliens taking up residence in or near predominately African-American communities. With this influx of illegals have come violent gang members, the flow of hard narcotics, human trafficking, prostitution and other crimes. Democrat politicians have routinely placed the interests of illegal aliens ahead of the safety and security of the American citizens in their own Congressional districts. Ironically, members of the Congressional Black Caucus have taken point in this effort to shield illegal aliens, including those convicted of multiple violent offences, from deportation. The unwillingness to enforce existing immigration law has been costly for the United States as a whole. Sadly, African-Americans, many of whom live in the inner cities, have paid a disproportionately horrible price for the Democrat Party's unjust alien-friend "social justice" position. The Democrat’s open borders agenda has allowed cartels and violent gangs to move massive amounts of drugs into the African-American community. With the flow of drugs, come the predictable increase in violence. Residents of predominately Black inner city communities have found themselves, literally, caught in the crossfire as gangs fight over drug territory. Illegal aliens are drawn to the inner cities where they take jobs and opportunities from citizens who need them the most. Illegal aliens place additional strain on the public health care system, sapping it of resources needed by lawful citizens. policy. Kathryn Steinle’s killer found sanctuary in California’s 12th Congressional District. This area is represented by Democrat House Minority Leader Nancy Pelosi and encompasses the “sanctuary” city of San Francisco. 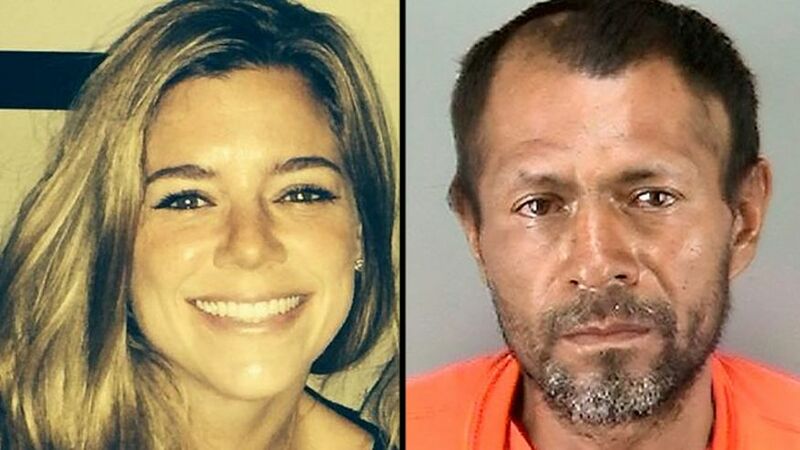 Kathryn Steinle’s killer would not have been in the U.S. save for the open borders, illegal alien-friendly, policies of Pelosi and the Democrat Party. The focus in the death of Kathryn Steinle illuminated a larger issue: the disproportionate impact of the Democrat, Progressive, open borders policies on the African-American community. Ironically, one of The Democrat Party's “Dreamers,” nineteen year old Petro Espinoza, a gang member and illegal alien, shot Jamiel Shaw II multiple times killing him. 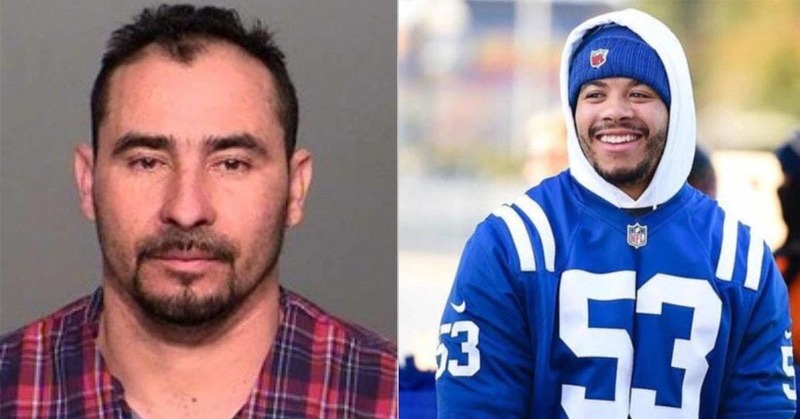 Espinoza had been released from the Los Angeles County jail earlier that same day. Espinoza had been convicted of his THIRD weapons charge in addition to a charge of assault on a police officer. 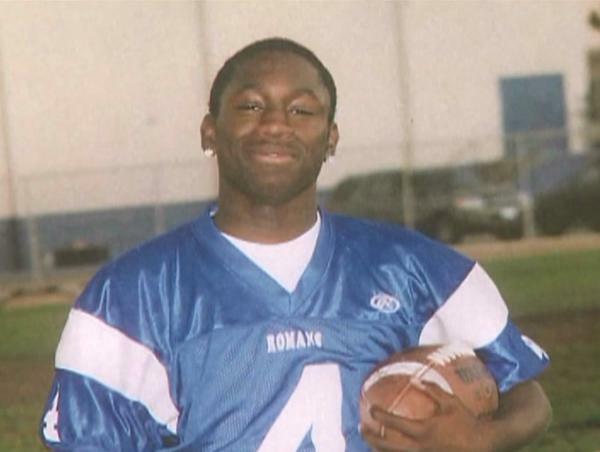 At the time of his death, Jamiel Shaw II was only blocks from home. His father, Jamiel Shaw, Sr. actually heard the fatal shots and went to see what was going on. 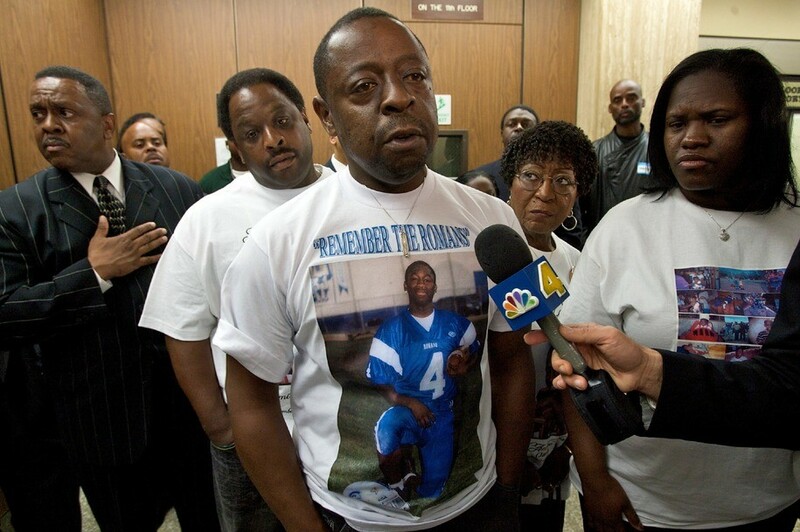 Jamiel Shaw, Sr. discovered his son Jamiel II lying on the ground. Jamiel II succumbed to the wounds to his stomach and head about two hours later. Democrat politicians continue their lawless and insane policies that place the interests of illegal aliens over that of their own constituents. Save for the Los Angeles area “sanctuary” city policy and irrational measures like the Los Angele’s Police Department’s Special Order 40, Jamiel “Jas” Shaw II would be alive today. State and city leaders violate Federal law when the wilfully disobey lawful Federal immigration detainers and release violent illegal aliens back into American society. State and municipal officials who wilfully violate Federal immigration law should be striped of their immunity from civil lawsuit. Jamiel Shaw Sr. has been unrelenting in his effort to hold municiple and state officials accountable for their role in his son's senseless and preventable death. Few tragedies exemplify the toll exacted on the African-American community, by the Democrat's illegal alien first policies, more than the gutwrenching September 13, 2016 double-homicide, of two Long Island, New York teenagers at the hands of MS-13 gang members. 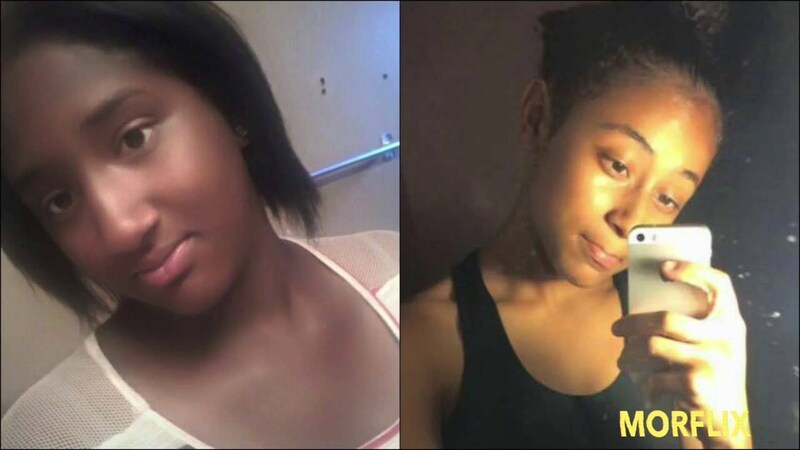 Kayla Cuevas & Nisa Mickens were best friends. 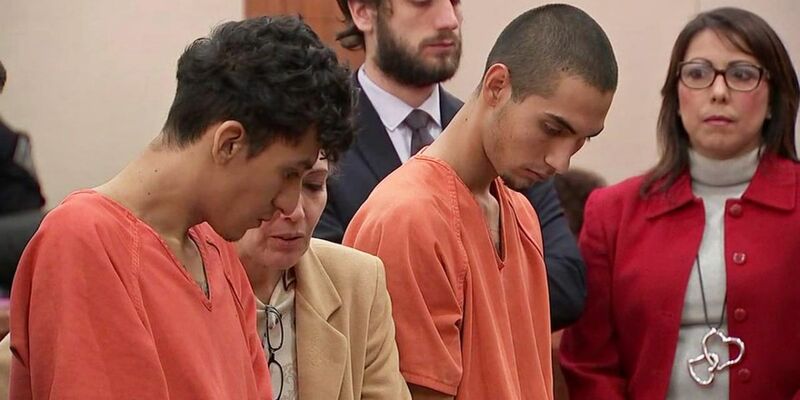 They were walking together in their Brentwood, New York, neighborhood when a car containing a group of MS-13 gang members pulled up next to them. On the instruction of their leaders, the gang members got out of the vehicle and savagely attacked the two teen-aged girls. The horror was only beginning. Investigators would later report that MS-13 gang members targeted Kayla Cuevas due to a dispute that started on Facebook. The parents of state that Kayla Cuevas was bullied and harassed at school by gang members. Kayla’s mother, Evelyn Rodriguez, said. The young ladies were beaten with bats and hacked to death with machetes. The reaction by Democrat politicians and the Liberal media to the intensified effort to deal with these violent gangs has been utterly irrational and predictably pathetic. Their responses have been to dishonestly characterize the effort to reign in the gangs as a threat to the immigrant community as a whole. NFL Pro Bowler, Edwin Jackson wore the number "53" as a was a talented and feared linebacker. 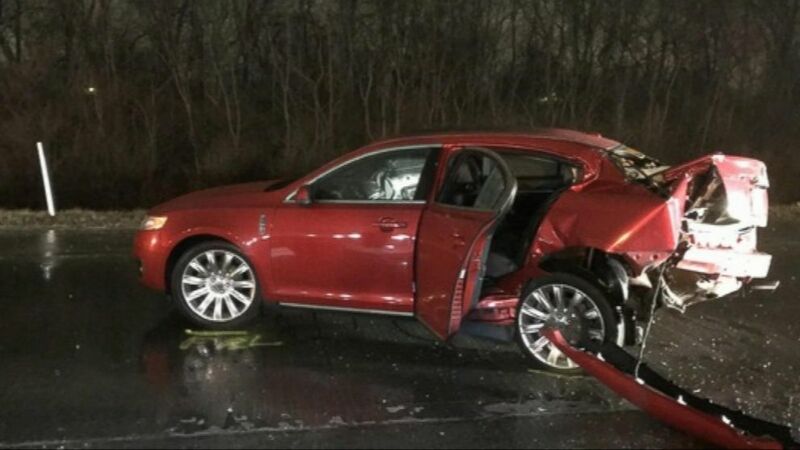 He was only 26-years of age when, in the early morning hours of February 4, 2018, an illegal alien struck and kill him along with is Uber driver. The #TakeTheKnee insta-movement was the source of great controversy for the National Football League. Professional players refused to stand for the national anthem in “protest.” The resulting backlash resulted in lower attendance, cancelled cable subscriptions, the burning of NFL jerseys and memorabilia. Players were booed by even diehard fans who viewed their "protests" as disrespectful, out of place, and un-American. The goal of Progressive politicians and activists was to weaponize the NFL, one of America’s most revered past times, against President Trump. 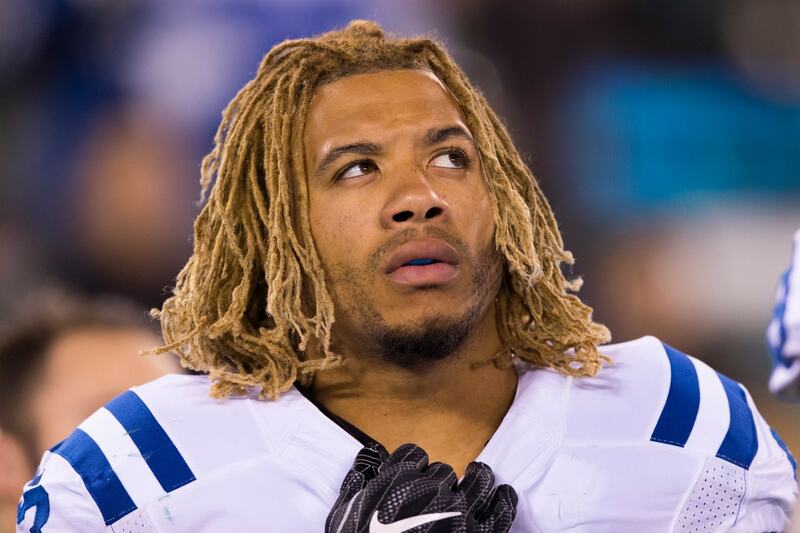 Their intention, among others, was to characterize President Trump’s lawful immigration policies as “racist.” The tragic irony is that the failure of successive administrations to enforce common sense immigration policies already on the books allowed the illegal alien, who would kill Edwin Jackson, a fellow NFL player, to illegally enter and stay in the country. 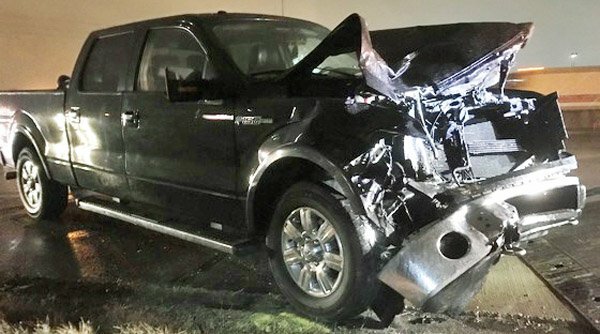 "blood-alcohol content was nearly three times the legal limit." Jeffrey Monroe was working to save up money to take his wife to the Olympic games. Both Jackson and Monroe died at the scene. Jeffrey Monroe of Avon, Indiana. He was killed while assisting Edwin Jackson. Per @EmilyWTHR, he was an Uber driver to make money to take his wife to the Olympics. "... operating a vehicle while never receiving a license..."
"...was sentenced to two days in the Boone County Jail and was released after one day served,.."
Progresivism is backward. What more is there to say?